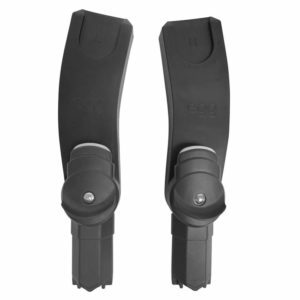 ADJUSTABLE HANDLE The handlebar is fully adjustable with 5 different height positions, adjusted with a rotating barrel, all beautifully finished in hand stitched leatherette. 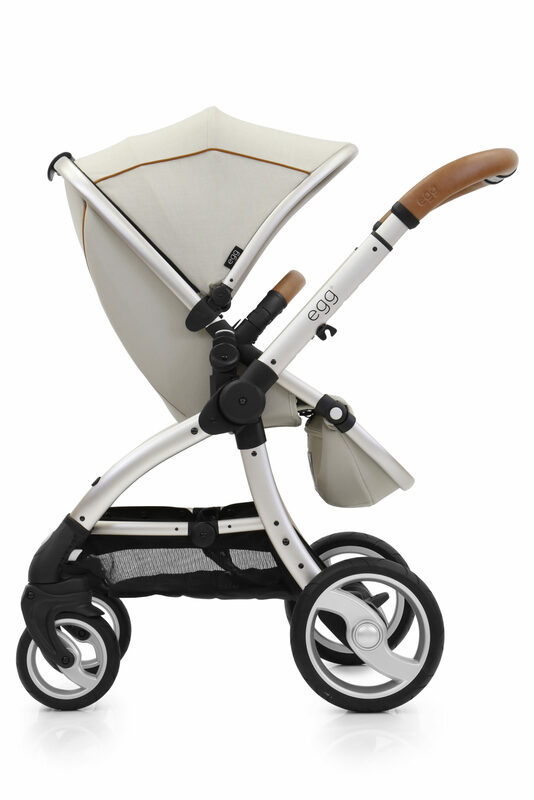 TWO-WAY RECLINING SEAT The curved seat design is suitable from six months of age up until 25kg when used as a single stroller and 15kg per seat when used as a tandem stroller. 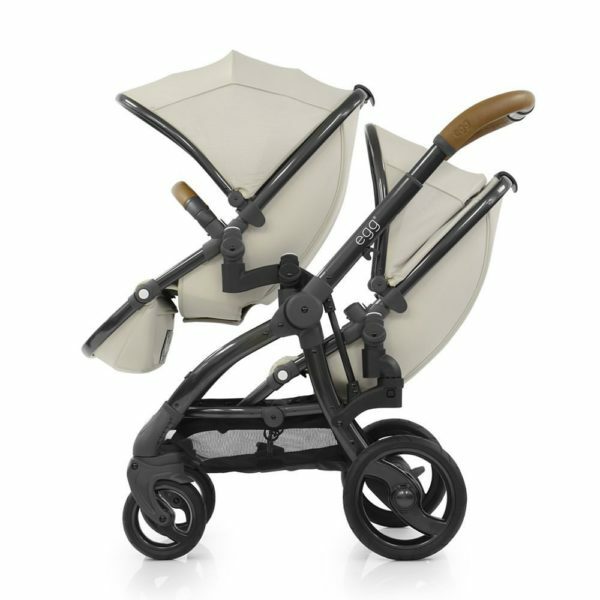 It incorporates 3 recline positions, reversible seat to be front and parent facing, 3 position hood and a beautifully finished leatherette swing away hinged bumper bar. ADJUSTABLE LEG-REST The pivoting adjustable leg-rest allows you to easily support your child’s feet as they grow, and also incorporates a discreetly placed insect net underneath. 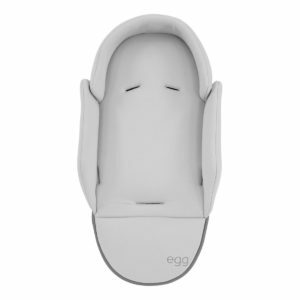 ADJUSTABLE CANOPY Made out of soft, luxury fabrics, the egg® hood has a silent and smooth fold to 3 adjustable positions. The hood can also be moved to higher positions up the chassis if needed. 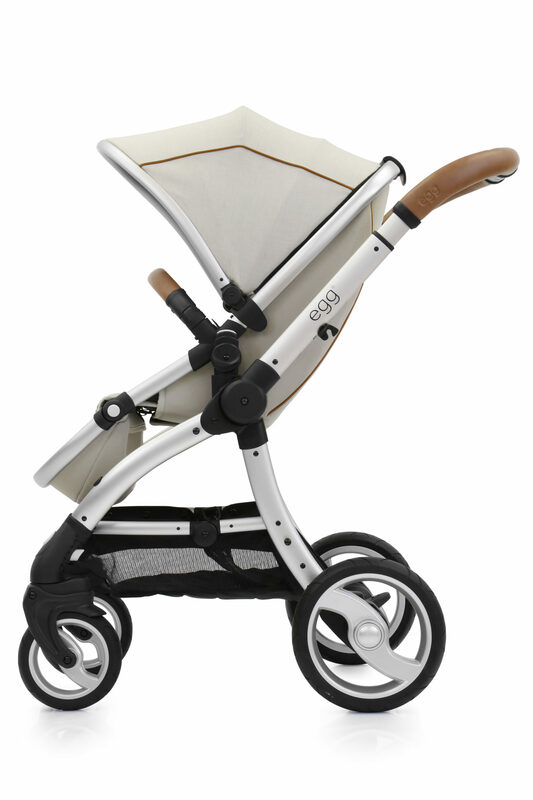 ONE HANDED COMPACT FOLDING By simply rotating the barrel on the egg® handlebar and lowering it down, this releases the chassis allowing the stroller to be folded by lifting a central carrying handle found in the centre of the storage basket. The result is a very compact, freestanding fold.